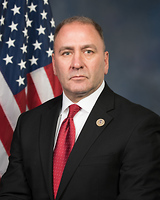 Rep. Clay Higgins (R-La.) joins Gordon Deal and explains how he thinks we should respond to the crisis on the Mexican border. National Emergencies Are Common. Declaring One for a Border Wall Is Not. John Fritze from USA Today explains that, while many presidents have declared national emergencies, they've rarely been employed in the way President Trump is using it for the border wall. The Wall Street Journal's Jerry Seib dives into the history of the immigration debate in America, including how both parties' views have changed in recent years. Trump stands firm despite market rout, the financial steps to take now in a shakier economy and the baseball prospect who paid his parents back for their sacrifice in a touching way. Wall Street Journal reporter Andrew Duehren details the issues on voters' minds as we approach the midterm elections. Are the Democrats vulnerable? 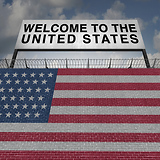 Listen as the Washington Examiner's Jim Antle tells Gordon why President Trump will emphasize immigration and crime in the upcoming midterm elections. Alicia Caldwell from the Wall Street Journal takes us inside a Texas detention facility for immigrant families. Listen as Congresswoman Susan Brooks tells Gordon how America needs to attack the immigration crisis it faces. Trump calls on NATO allies to double military spending, the founder of Papa John's resigns as chairman after using racial slur and why parents are borrowing even more to pay for their kids' college. President Trump criticizes NATO allies at summit, the U.S. unveils another $200 billion in tariffs on Chinese goods and tips on how to keep cord-cutting prices down. President Trump narrows Supreme Court search, a woman climbed the Statue of Liberty to protest migrant family separations, and avoiding World Cup spoilers. Listen as The Wall Street Journal's Arian Campo-Flores tells Gordon that even though border patrol has stopped separating migrant families, they have barely begun reunifying them. Supreme Court Justice Anthony Kennedy set to retire, SCOTUS deals blow to public-sector unions, and How to get a refund if your kid racks up an $800 bill on Fortnite. Listen as The Wall Street Journal's Alicia Caldwell tells Gordon how migrant mothers are turning themselves in to immigration authorities, and how most will ask for asylum. Supreme Court upholds Trump travel ban, judge orders migrant families separated at border to be reunited within 30 days, and employees would rather make less money than tolerate bad office vibes. 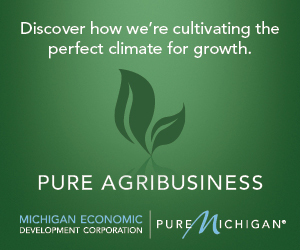 Trump administration's trade confusion sends stocks on a wild ride, official says families at border aren't being prosecuted, and why more of us have a side hustle.